First of all, I thought I would NEVER EVER do a haul post on my blog because I was a little apprehensive as to how the post may be received/perceived. However, my blog headline does read #SharingisCaring so why not share, occasionally, what I have purchased. I wouldn’t post hauls very often but if there’s new and interesting beauty-related products out there that I have purchased, I will most definitely share it here! I have been using drugstore skincare item that are mostly geared for gentler skin. 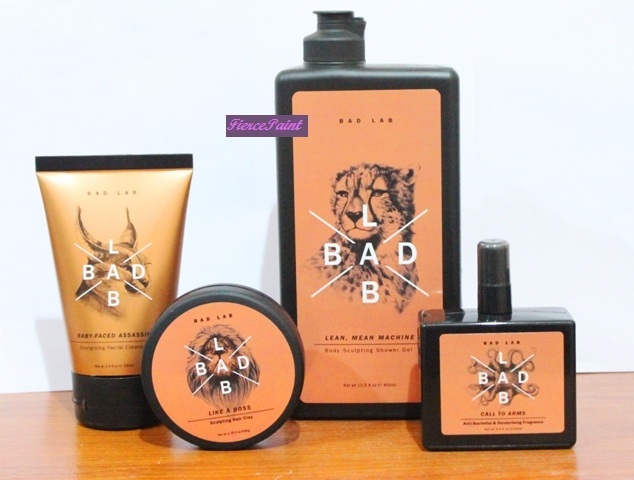 So when Watsons announced this new skincare/hair care/personal care line I was intrigued because, #1; it had a very affordable price tag, #2; it is a local brand and #3 it was created specifically for men. Now, my dear readers, I have never used gender specific pronouns in my posts when referring to all of you but, ladies reading this, I am sorry, this isn’t something you would want try out for yourself (at least I don’t think it is; if you want to then power to you!!! )… But hey, I am sure you have friends, boyfriends, brothers, fathers, uncles, nephews etc, so perhaps they might want to give it a go. Please be notified that this is a haul post, so I know NOTHING about the effectiveness of these products. Ooooooo…… I am diggin’ the packagin’. First is a fragrance and they have a name for it too! “Call to Arms”. 100ml of product and retails for MYR 13.30 (with current promotion; MYR 12.80). 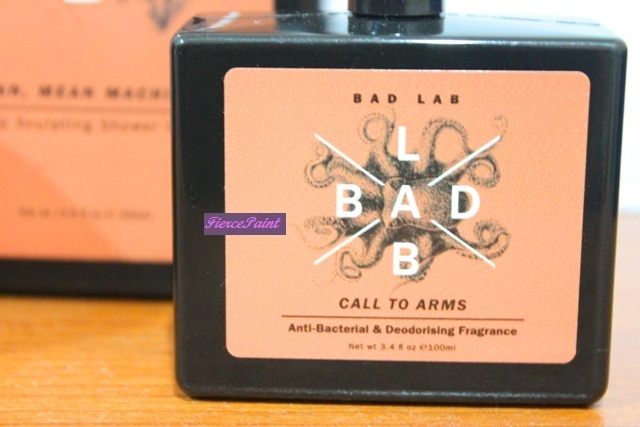 I’d suggest sniffing it first before buying; the scent may not agree with everyone. 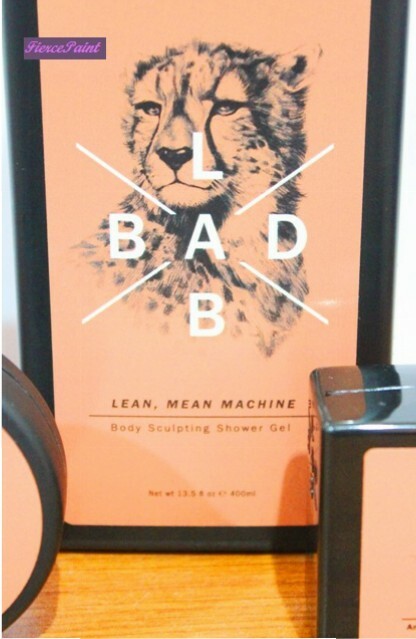 Next is a body sculpting shower gel called “Lean, Mean Machine”. 400 ml of product and retails for MYR 13.30 (because I purchased the fragrance, there was a 30% discount which ended up costing me MYR 9.30). 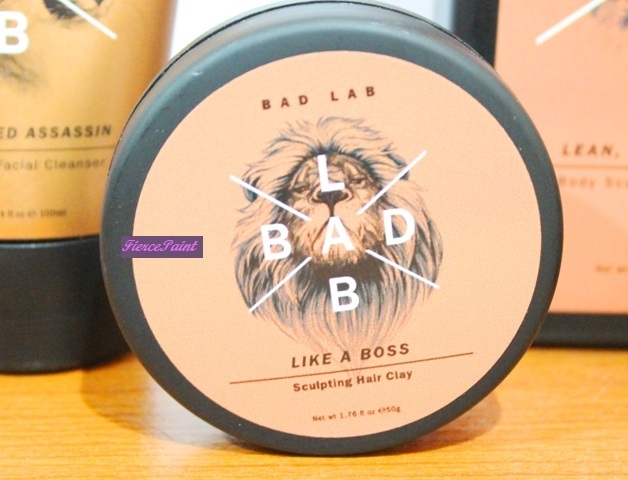 Next is a sculpting hair clay called “Like a Boss”. Look at that macho lion! There’s 50 g of product in it (that’s a lot!!!) and retails for MYR 13.30 (with promotion, the clay cost me MYR 12.80). 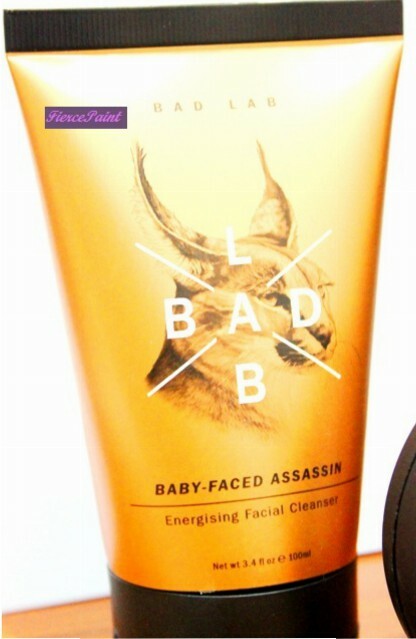 And last but not least, an energising facial cleanser called “Baby-Faced Assassin”. Ouuuwww snap!!!!! I feel so macho!!! There’s 100ml of product and retails for MYR 13.30 (with promotion it cost me MYR 10.65!). I will use these products and give my short reviews on a product empties post in the future. Something tells me that the body sculpting shower gel will be the first to go. Hahaha!